Ready to start your own neighbourhood group? This kit contains all the information you need to get started. 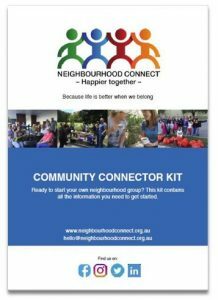 Information, tips and tools to support ommunity Connectors to build and maintain their neighbourhood group. 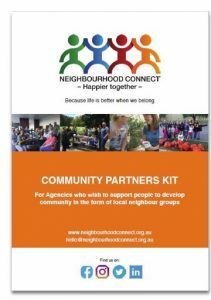 For Agencies who wish to support people to develop community in the form of local neighbourhood groups. 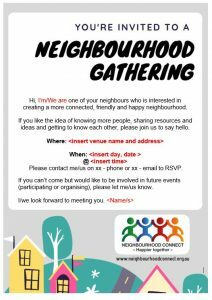 Click on the image to see the invitation templates for neighbourhood events. 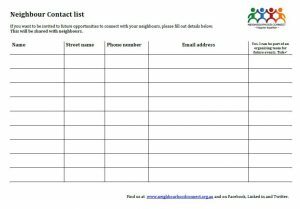 Print off this form, take to your first event and gather contacts details of participants for future sharing.